Dancebourne Arts will present its fourth annual premiere VIVA, a programme of four new dance pieces, on Tuesday, October 2 at 7:30 p.m. at the Darebin Arts Centre, as supported by the Darebin Council. The first ballet, Viva, is choreographed by Hyson and is described as a “dazzling, spirited and fast-paced piece danced to Louis Moreau Gottschalk's famous score ‘Grande Tarentella’”. The second piece, Liszt Variations, is by senior choreographer Geraldine Lett. It’s a stunning, vibrant neo-classical work presented in four movements to piano concerto's by Franz Liszt. The third piece, a dynamic contemporary work, has been developed by choreographer Kathleen Skipp to original music composed for the VIVA programme by Josh Mitchell. This new work will be Skipp's third original work created for Dancebourne Arts. The fourth work promises to delight and intrigue, with the presentation of artist/dancer Rosie Osmond’s first conceptual choreographic work for Dancebourne Arts. The audience will see Hyson, Osmond, Jesse Clune, Chiara Ferri, Akiho Kinoshita, Rina Kudo, Beatrice Ramsay and Madisson Salan take to the stage in this programme. 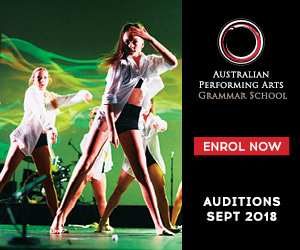 For more information, visit www.dancebournearts.com. Photo: Madisson Salan, Luanne Hyson and Chiara Ferri. Photo by Julie Nicholas.